Runners of all ages will love participating in the Bryce Canyon Half Marathon, which also offers a 5K and Color Run option. Beginning at Ruby’s Inn on Hwy 63, the half marathon follows National Scenic Byway 12 into Bryce Canyon National Park. Not only will you get the satisfaction of finishing a race, but you’ll also be privy to stunning views on this course. 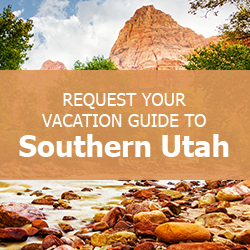 To make your vacation planning easier, be sure to request a complimentary copy of our Southern Utah Vacation Guide! Inside, you’ll discover helpful tips and local suggestions on the best places to hiking, restaurants, and other area attractions. Plus, find out about more annual events like the Bryce Canyon Half Marathon! A 13.1-mile course, the half marathon is best suited for experienced runners who are accustomed to traveling long distances without a break. On this route, participants will enjoy running beside towering red rock spires with stunning mountains in the background. Runners and walkers looking for a less strenuous experience with the similar beautiful scenery should sign up for the 5K. This route begins in Cannonville and passes through Kodachrome Basin State Park. The mountains and geological formations in this state park are unique in color because the peaks fade from a whitish-gray to the red that dusts Bryce Canyon. Another option is the Color Me Fun Run, which is a one-mile track. When runners cross the finish line, they’re covered with colored powders by spectators! This fun, easy event is perfect for younger and older participants. Sign the whole family up for a great bonding experience! Many runners decide to follow the race up with a scenic hike through the gorgeous Bryce Canyon National Park. While the half marathon is the only race that begins at the entrance to the park, participants can take the Bryce Canyon shuttle to the visitors center, then pick up hiking trails from there. A hike after the run is highly recommended if you have the stamina. From the trails, you can get unparalleled views of the canyon, surrounding peaks, and rock formations. When you travel to Southern Utah for the Bryce Canyon Half Marathon, you’ll want a nearby place to stay. Family Time Vacation Rentals offers properties in several towns in the area. Choose to stay in a Panguitch rental, less than 30 minutes from Bryce Canyon, and remain close to other national parks and attractions. Book a stay in this charming Casa Azul cottage that can accommodate up to six guests. 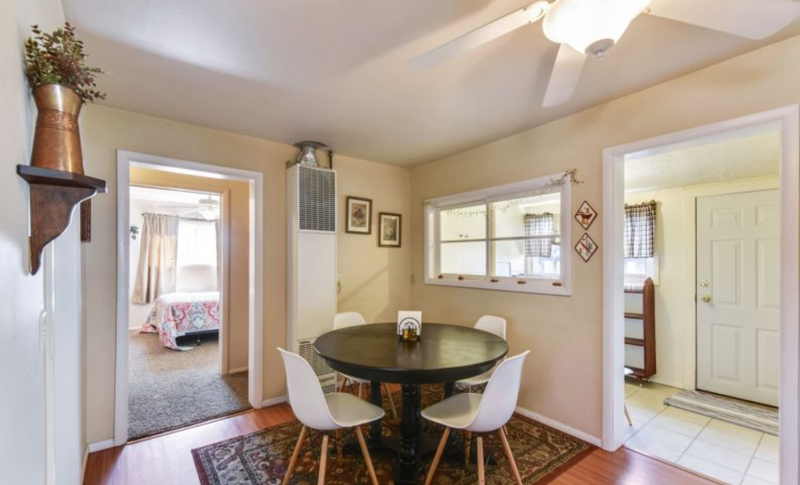 With three bedrooms, two bathrooms, and a fully-equipped kitchen, this rental is perfect for a family traveling together. Located in the beautiful valley of Panguitch, this home is close to Bryce Canyon and Zion National Park. Browse our complete catalog of available properties and start planning your trip to Southern Utah today!